When playing indoor soccer, it's important to have the right pair of indoor soccer shoes to provide the support you need to play your best as the surface is different. Shop a wide variety of indoor soccer cleats all designed to help you play your best on hardwood and laminate surfaces. With no-hassle returns and some of the lowest prices online, soccerloco can help you find the perfect pair of indoor shoes without breaking the bank. We stock a wide variety of the best indoor soccer shoes with top brands like Nike, adidas and Puma designed specifically for potentially slippery indoor soccer surfaces. 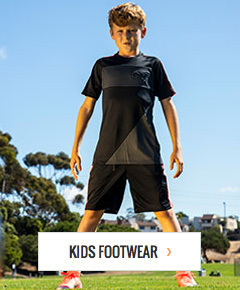 If you are in need of kids indoor soccer shoes or indoor soccer shoes for men or women soccerloco has got you covered. Shop soccerloco today and own the court with our high performance indoor football cleats!